The IBF demanded champ Warrington take on mandatory challenger Galahad next, spurning the Leeds man the chance to defend his world title in the States. 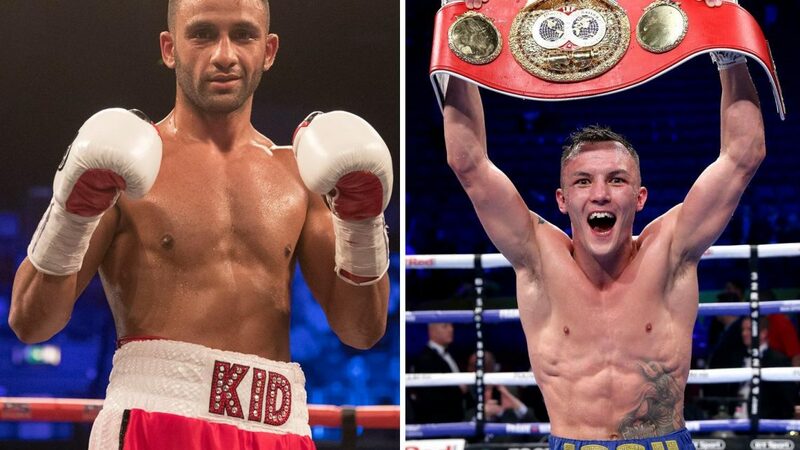 But those riches should come later – provided Galahad is dealt with – after Warrington's promoter Frank Warren won the purse bid. And there is already plenty of bad blood between the pair before a punch has been thrown. It is all goes back to 2014 when Galahad, real named Abdul-Bari Awad, failed a drugs test after beating Adeilson Dos Santos. He was originally given a two-year ban, but this was reduced to 18 months with Galahad insisting his brother Mageed added banned substance Stanosolol, a steroid, into his protein shake. But Warrington is having none of it, and went on to blast the Qatari-born boxer's attitude. Speaking to the Yorkshire Post, Warrington, 28, said: "I don’t like this cocky persona he’s got and I don’t like his attitude. “When he talks about his drugs ban it’s like he doesn’t have any remorse. "When you’re in athletics or something like that, people cheating means other athletes can lose out on medals. "The difference in boxing is that you’re going in there to hurt each other. Warrington, not for the first time, upset the odds to defend his world title with a points win against Carl Frampton in December. And the beaten man on that night is gunning for Warrington to beat Galahad – with Frampton not mincing his words. He told BT Sport: "In my heart of hearts, I would like to see Josh Warrington smash the s*** out of Kid Galahad. "I hope he beats him from pillar to post." WATCH: Natalya put through table on WWE Monday Night Raw!